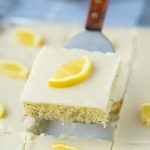 This lemon bundt cake has it all! 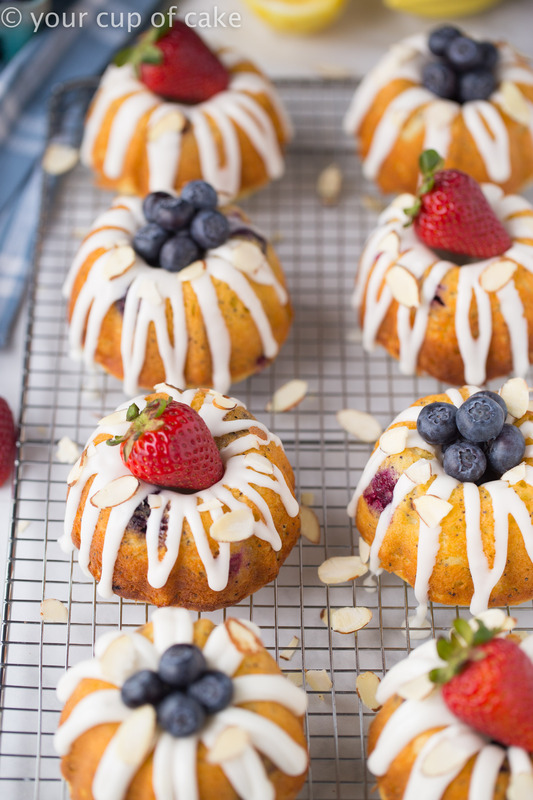 Blueberries, almond glaze, packed with poppy seeds and topped with fresh berries. 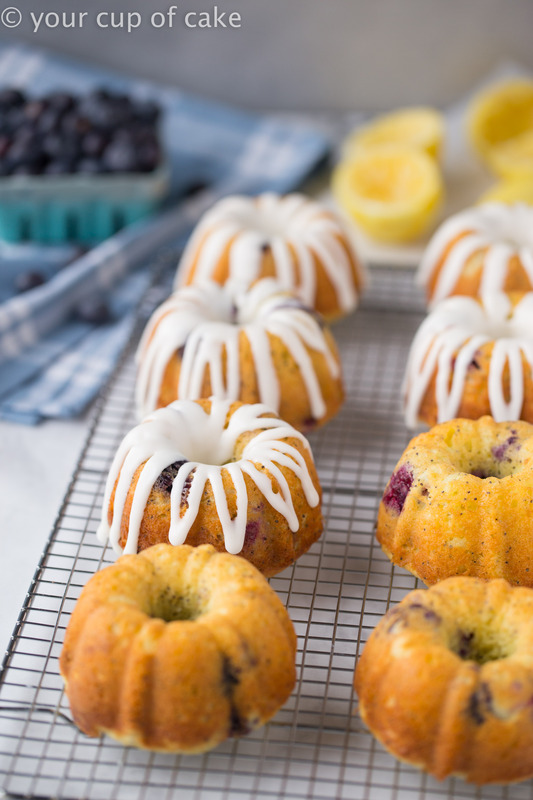 The best Ultimate Lemon Blueberry Bundt Cakes recipe has arrived! I love bundt cakes. There’s just something so delicious about a dense cake drizzled with sweet sugary glaze…yum. 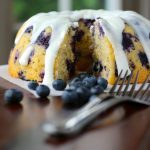 Whenever I pick what kind of lemon bundt cake to make I feel like I have to pick between blueberries or poppy seeds or adding almond extract. Well this time I threw everything but the kitchen sink in these cuties! 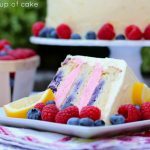 The cake has fresh lemon juice and zest, poppy seeds, and blueberries while the glaze is made with almond extract. POW! 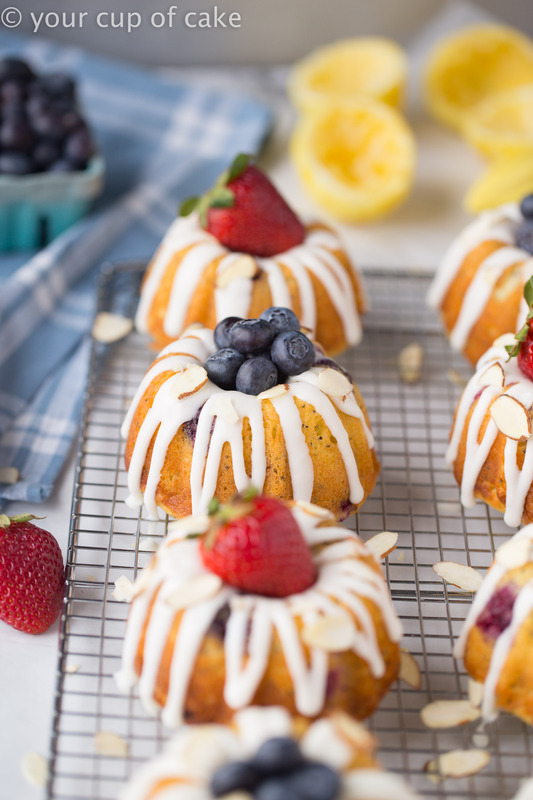 The flavor is out of control today with these Ultimate Lemon Blueberry Bundt Cakes! Okay, this is a big one. 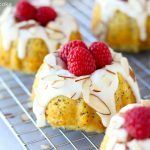 You spend all that time making your bundt cake and waiting for it to bake only to flip it over and have your heart break! I have tried lots of different techniques and sprays and this one is my favorite! I just get it from my local grocery story and it works like a charm. The pan I use is like a mid-size bundt pan. I love it because the mini pans are just too small, I need to eat like 3 of them to equal a piece of cake! But these ones are great for a generous single serving or perfectly cute to share with someone special. 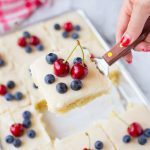 Plus, there’s enough room to fill the middle with fruit which makes these gorgeous! Ah! 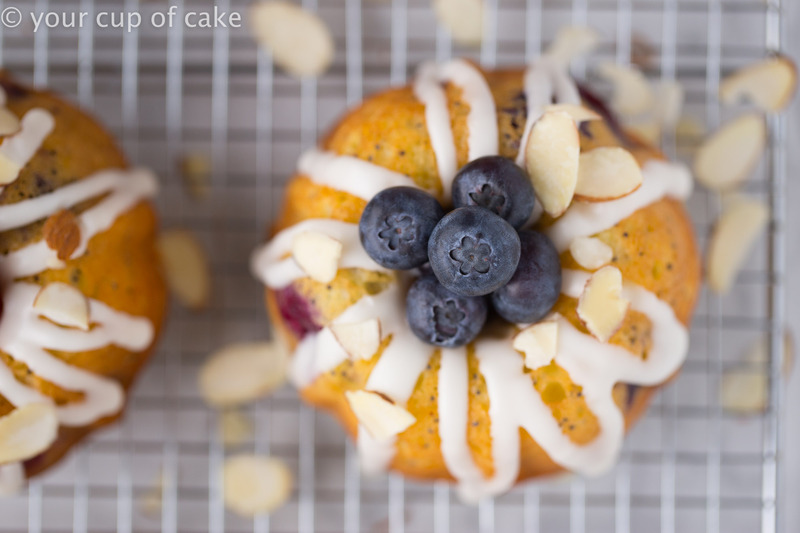 Naked Lemon Blueberry Bundt Cakes! Juuuust kidding, they just look so bare without any glaze or toppings! 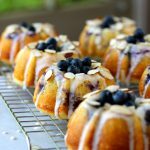 I did an instagram poll when I made these Ultimate Lemon Blueberry Bundt Cakes asking if I should fill them with blueberries or strawberries. The poll was split perfectly in half! So I decided to do both! 2. 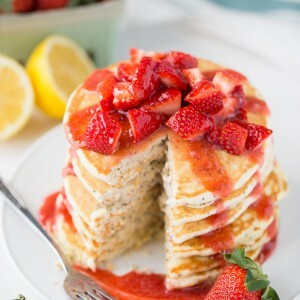 Combine cake mix, instant pudding mix, oil, sour cream, eggs, lemon zest, lemon juice and poppy seeds. Mix until smooth. 3. 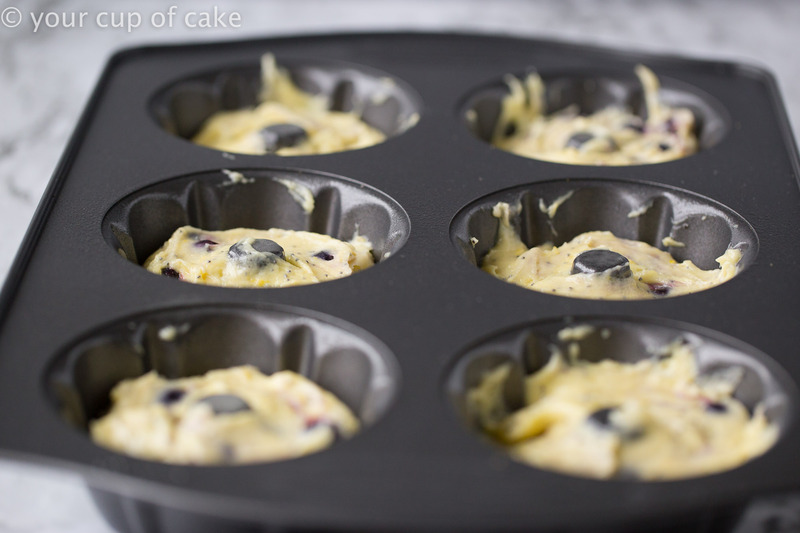 Fold in blueberries and fill bundt pans! 4. Bake for 17-25 minutes (I used a mid sized bundt pan) or until an inserted knife comes out clean! 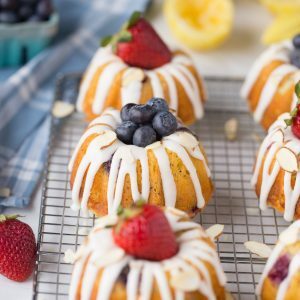 Regular bundt pans take 40-60 minutes to bake and the tiny mini pans take 10-17 minutes. 5. Let cool in pan for at least 7 minutes and then turn out. 6. 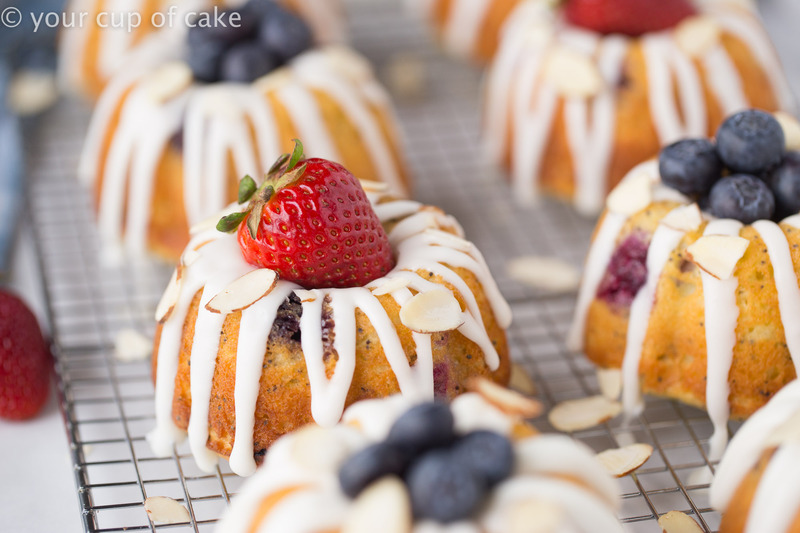 Glaze: combine powdered sugar, almond extract and 1 tbsp of milk. Whisk until smooth, but it should be somewhat thick. Add more milk if needed. 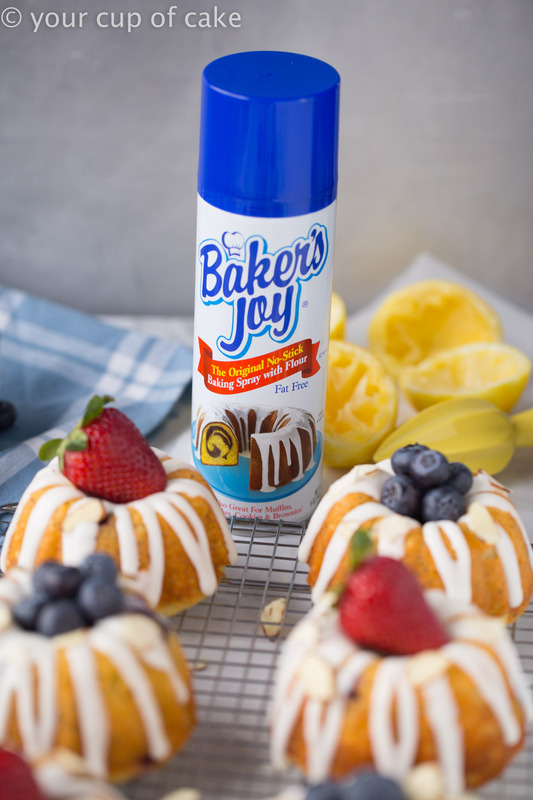 Pour into a zip lock bag and snip off the corner to easily drizzle over cooled or warm cakes! Enjoy! I assume that this could also be made in a regular bundt pan. 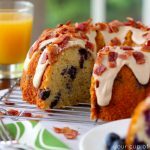 would I bake it using the regular size bundt pan? I would start checking it around 40 minutes! But my guess is it will be done around 50 minutes or so! Some ovens and pans bake differently so I wouldn’t be shocked if it took an hour! You really need to publish another cupcake book. Many of us makes cupcakes for our grand kids and and family birthdays. It would be a hit! You are so sweet! I can’t promise anything but maybe in the next year or two I can start working on another!